The rush that you feel as you're pushing yourself to the limit racing your fixed gear, no brakes bike around the banked walls of the JBMV is hard to describe but very easy to get addicted to. The "trackies" of Seattle are incredibly lucky to have one of the 26 velodromes in this country located in the City of Redmond. Each year, Team Thrive provides free introductory classes to its members to learn this unique discipline and grow our team presence at the track. 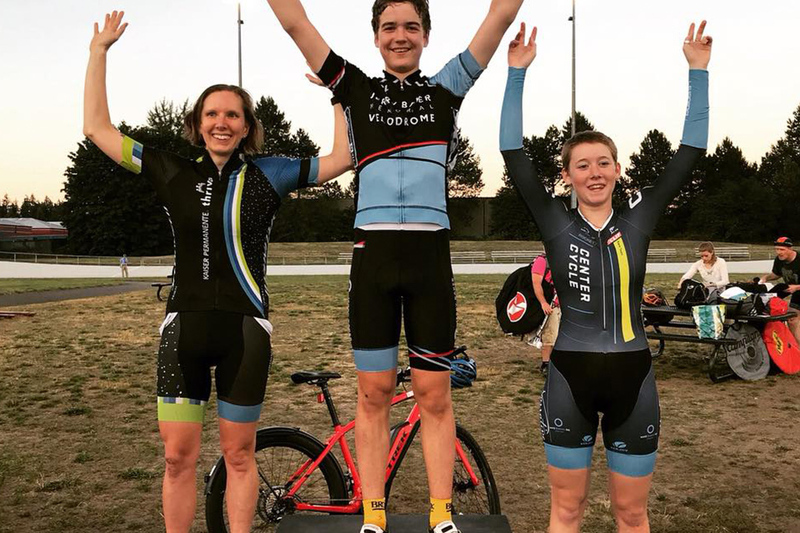 In 2018 we had team mates podiuming in the Cat 4 events and placing top 5 in the elite races on Friday nights.